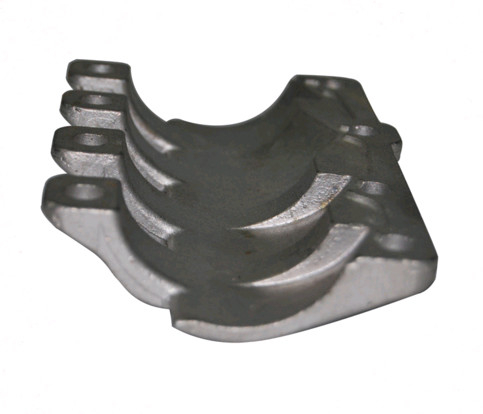 We specializes in the production of casting parts for various valves, pumps, pipes, auto accessories. With 150 employees,including 23 technical staff,We has already been accredited to ISO9001:2000 and CE and TS. the water glass and resin sand process castings workshop and the finish machining workshop. In addition,our company is possessed of advanced equipment. With keeping manufacturing process design, quality planning, key manufacturing processes and final quality control in house we are mastering key competence to supply quality mechanical parts and assembly to our customers for both Chinese and Export Market . To satisfy different mechanical and functional requirements from our customers we are making a big range of metal products for our clients on base of different blanks solutions and technologies. These blanks solutions and technologies include processes of Iron Casting, Steel Casting, Stainless Steel Casting. Standard DIN, ASTM, BS, JIS etc. Process Sand casting,resin bonded casting, investment casting(lost wax casting), die casting, pressing & forging. Machining Complete machining such as Machining center, CNC, Lathe, Milling machine,drilling etc. 2.Well-trained & experienced staff are to answer all your inquiries in English. 3.Working time: 8:30am – 5:30pm, Monday to Friday (UTC+8). Q What is your production capacity ? A. We are able to finish up to 2000 tons raw material every year , generally , one full 20 feet container ( about 20 tons) can be done in 20- 25 days . Q.How long I can get samples for approval before placing order ? A. Just in one week for new samples that need to be done in new tools , and we can deliver samples within 24 hours for exsiting samples once received your request . Q.What are your popular payement menthods ? A. T/T is our prior choose for all , of course , we are also accept L/C , Westunion , paypall . Q . Can you provide custom service ? A . Yes , we provide standard and custom service for all our products . Material: Material: Steel, Aluminum, Copper, Iron, Zinc and etc. Surface treatment: Polish, Coating, PVD, Sand Blast and etc.